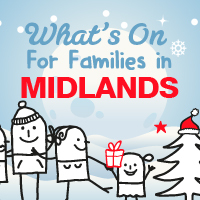 Are you looking for things to do with kids (apart from Santa visits), this December and Christmas Holiday? From Christmas craft making to winter fairs, here’s our regional guide of Things to do with Kids Around Ireland at Christmas for 2018. 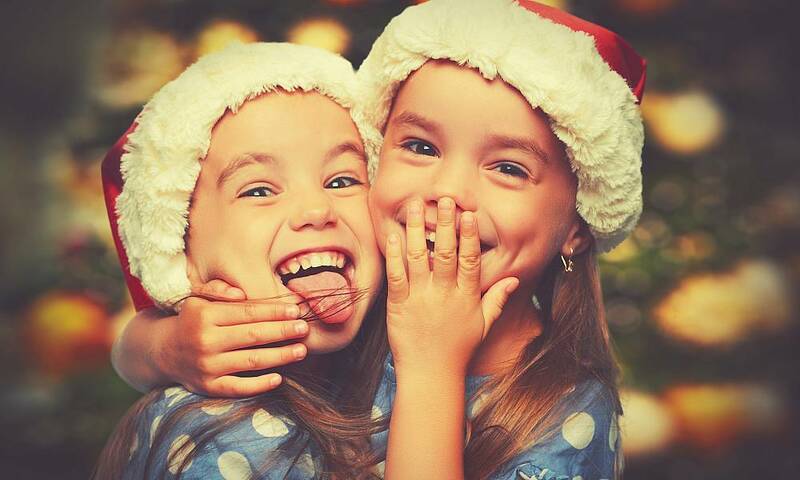 Christmas is all about family and fun, and Leisureplex is bringing the two together to provide the perfect venue for the whole family this Christmas. Whether it’s a parents-versus-kids game of bowling, a galactic family-versus-family battle in Quasar, or an adventure in the slides and ball-pools of the Zoo Adventureland, Leisureplex has everything you need for the perfect day out. 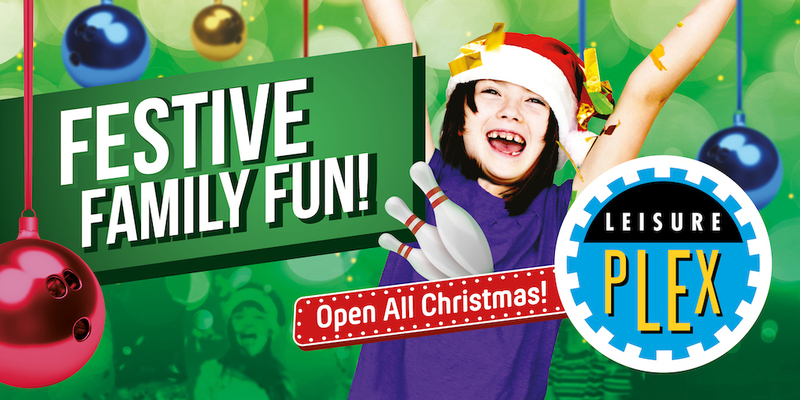 Open all over the Christmas season with locations at Blanchardstown, Charlestown, Coolock, Cork, Stillorgan and Tallaght. December 2018 – Check out the Free Christmas Events at the 3 National Museum of Ireland museums, Decorative Arts & History at Collins Barracks, Natural History at Merrion Square and Archaeology at Kildare Street. November 24th to December 23rd – Have you ever wondered what it takes to become one of Santa’s trusty elves? This year, why not find out at The Elves in Training Santa Experience at Croke Park from November 24th? Friday December 7th 2018 to Sunday January 6th 2019 – Mill Productions return with another Christmas panto for all the family at dlr Mill Theatre, Dundrum. Beauty and the Beast tells the story of Belle and the dreaded Beast and will delight audiences of all ages. 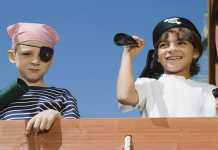 December 5th to 30th 2018 – Branar Téatar do Pháistí are at the Ark over the festive period with their adaptation of Oliver Jeffers’ How To Catch a Star. The show tells the story of a boy who was always looking up and dreamt of having a star as a friend. 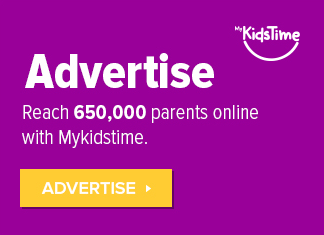 The performance is non verbal and is suitable for ages 4+. Performances take place on dates from December 5th to 30th 2018. December 5th to January 12th 2019 – Les Misérables will be at The Bord Gais Energy Theatre. December 26th 2018 to January 14th 2019 – Funderland is back at the RDS from December 26th and will remain open until January 14th 2019. December 8th 2018 to January 3rd 2019 – The National Concert Hall Family Christmas Concert with the ECO Band takes place on December 8th. There’s also the NCH Christmas Show This Way to Christmas! from December 21st to 23rd and The Wizard of Oz from December 27th to January 3rd. November 24th to January 14th – There’s plenty of Ice-Skating fun to be had around Dublin again this year, including Dundrum on Ice, Swords & Blanchardstown. November 27th 2018 to January 6th 2019 – The Moving Crib will be back in Parnell Square, Dublin from November 27th 2018 to January 6th 2019. This year they celebrate 62 years of delighting families for free. The crib is open daily from 11am to 6pm except for Christmas Day, St. Stephen’s Day and New Years Day. Saturday December 8th – The 13th Annual Aware Christmas Run takes place in the Phoenix Park on December 8th 2018. Online registration is now available at aware.ie/events for both 5K and 10K options at a cost of €25 per person. November 1st to January 6th – Dublin Zoo has a spectacular aquatic animal themed light show running from November 1st. The show runs from 5pm to 9pm nightly. Rathwood’s Santa Train Adventure is Ireland’s most popular Santa Experience. Share in the magic of Christmas and take the Santa Express journey through the Enchanted Forest to visit Santa as he prepares for the most wonderful time of the year. 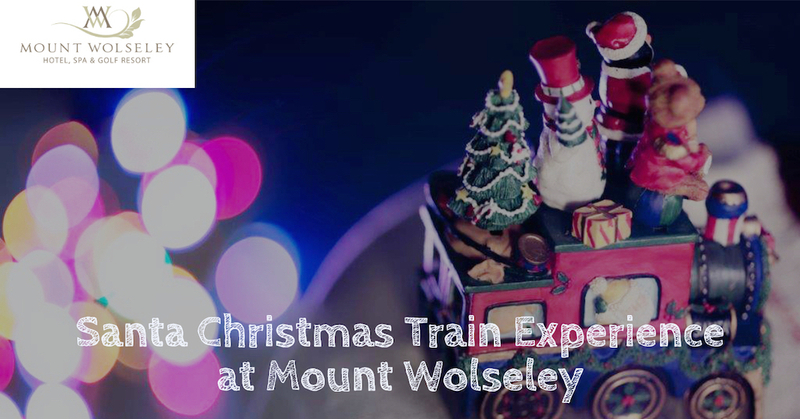 Get tickets for this wonderful experience when you book a selected festive break at the Mount Wolseley Hotel Spa & Golf Resort in Carlow. 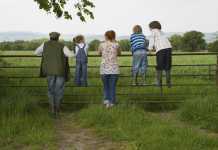 Blow away the cobwebs with a post Christmas family break which start from €319.00 per family per room 2 adults + 2 children. November 17th to December 23rd – Powerscourt Estate Wicklow is the place to be this Christmas 2018, enjoy a stroll in the gardens, a visit to Tara’s Palace & the Cool Planet Experience. See the animals in Powerscourt Stables before visiting Santa and collecting some presents from the beautiful shops. Sunday November 10th to Saturday December 22nd – Have a unique Christmas experience at Russborough House, Blessington, Co Wicklow with a tour, mulled wine, mince pies and hot chocolate and cookies. Afterwards explore the grounds including the maze and playground. November 24th to December 23rd – Castlecomer Discovery Park, Kilkenny offers a Magical Winter Wonderland with an Elf & Fairy Village, Giant Igloo and a visit to Santa if you wish. November 17th to December 23rd – Waterford Winterval is back with a host of events for families from November 17th. November 24th to January 13th 2019 – Kilkenny on Ice runs at The Hub Cillin Hill. 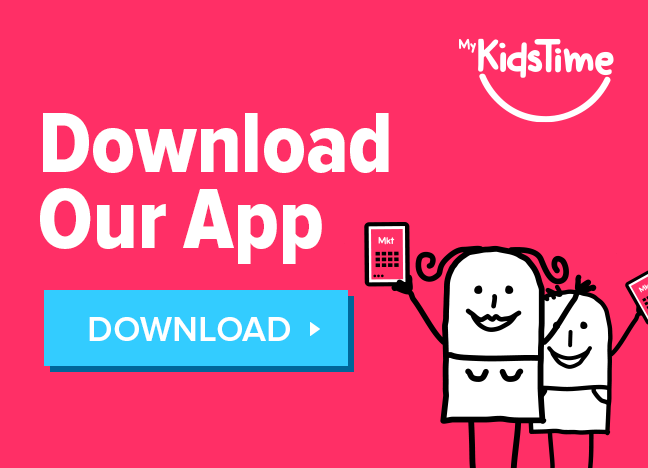 December 5th to 16th 2018 – Don’t miss the fantastic interactive kids Christmas adventure, A Jingle Bell Journey at the National Opera House, Wexford 5 – 16 December 2018! December 27th to 30th 2018 – It’s Panto time at the National Opera House, Wexford from December 27th to 30th. Enjoy the pantomime of your dreams Sleeping Beauty with an all star cast! 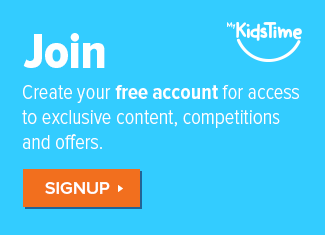 December 2018 – Yulefest Kilkenny runs family friendly events in December, with delights for kids of all ages. December 2018 – Carlow has a host of Christmas events taking place throughout December including a Christmas Fair at Delta Sensory Gardens and Christmas at Huntington Castle. 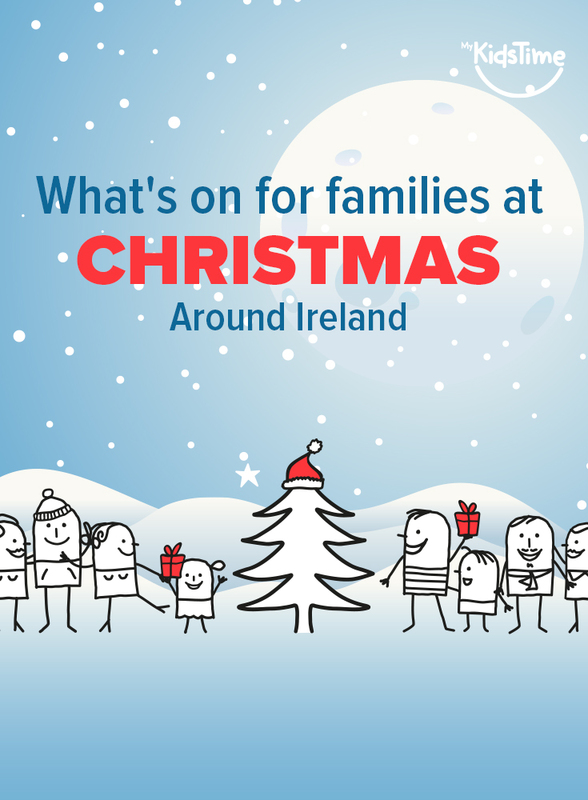 December 1st to 23rd – A visit to Belvedere House and Gardens, Westmeath is always great fun and during December can enjoy a Food & Design Winter Fair on December 1st & 2nd, an evening of Christmas Floral Decorations on December 5th and you can meet Belvedere’s very own Green Santa from December 8th to 23rd. December 1st to 22nd – Enjoy a trail with the Elves, meeting Santa and the magical Treehouse at Christmas at Birr Castle Offaly this December on dates from December 1st to 22nd. December 2018 – The Dunamaise Arts Center in Laois have a host of Family Christmas Shows on during December including The Nutcracker Ballet on December 4th, High School Musical by Scoil Chriost Rí on December 11th to 13th, Elfie Saves Christmas on December 15th & seasonal films on December 19th & 22nd. November 23rd to January 26th – Winterfest Mullingar includes Ice-skating for November 23rd and the annual Christmas Market on December 6th to 9th. 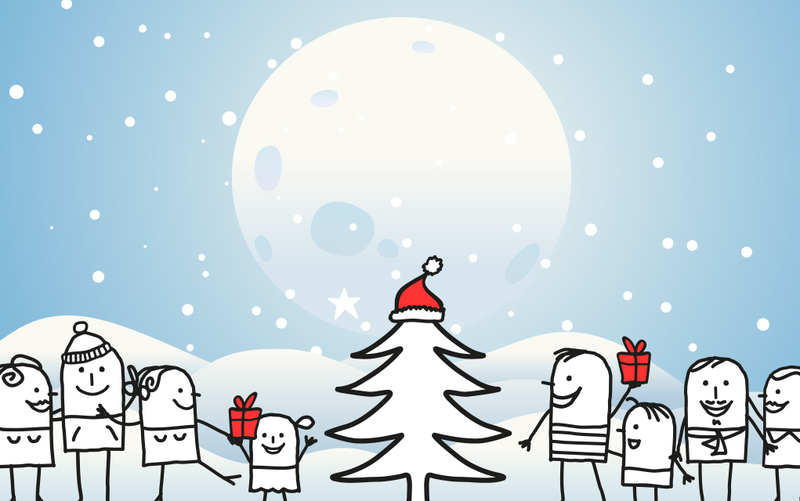 December 2018 – The Riverbank Arts Centre in Kildare have family shows including How to Catch a Star on December 1st, Parent & Toddler Art Morning on December 12th, A Winter Wish on December 15th, The Man Who Invented Christmas on December 17th, Lost in Frost on December 22nd, Echo Echo Dance Picnic on December 22nd & Forzen Sing Along on December 23rd. December 2018 – The Moat Theatre in Naas, Kildare has Robin Hood the Panto running from November 30th to December 15th & Elfie Saves Christmas on December 22nd. January 7th to 12th 2019 – Iontas Castleblaney has Jack & The Beanstalk the Panto on. December 1st – Bear Essentials in Cavan are having a Gingerbread House Workshop on December 1st from 2pm. November 25th to December 22nd – The Causey Farm Christmas Experience in Meath runs from November 25th and offers the opportunity to see the farm in a festive light! December 2018 – There are a number of Christmas Craft Fairs & Markets taking place in Louth including; Blackrock, Dundalk on December 1st, Victorian Christmas Market at The Battle of the Boyne Visitor Centre on December 2nd, Ardee on December 8th, Christmas Cottage Market in Drogheda on December 15th and Louth Craftmark in Dundalk on December 16th to 18th. December 2018 – The Droichead Arts Centre in Louth will have their annual Christmas Panto on December 5th to 9th, this year it is Aladdin. They will show The Snowman on December 21st. November 24th to December 23rd 2018 – In Mayo, Westport House’s Winter Wonderland is a magical family experience brimming with Christmas cheer that will leave the kids starry-eyed and the whole family believing in fairy-tales! Open from November 24th to December 23rd 2018 each family will get a 2 hour guided experience. Sunday 16th December from 1pm – Celebrate Christmas at Lough Key Forest and Activity Park on December 16th when Santa will be popping in for a visit and you can enjoy free tasty hot chocolate, mince pies & mulled wine. There will be a live outdoor nativity scene and festive traditional music and dance. December 2018 – Enjoy a host of family friendly events the National Museum of Ireland – Country Life Co Mayo this December including: Knitting & Crochet Circle on December 7th, Christmas Decorations from Straw Workshop on December 15th and Carol Singing on December 20th. December 2018 -The Annual Strokestown Park Victorian Christmas Experience Roscommon is back for 2018. With lots of festive attractions for all of the family. It takes place on December 2nd, 8th, 9th, 15th & 16th. December 2018 – The Hawks Well Theatre in Sligo has host of Christmas shows including Elfie Saves Christmas on December 3rd, Rumplestiltskin on December 8th to 20th, Santa Babies on December 22nd & Christmas Toons on December 22nd. Enjoy a festive family break in Galway this November or December and you will receive an exclusive 10% discount off Elf Town Tickets when you book an Elf Town Family Package at the award winning Connacht Hotel. Check availability for all Elf Town Family Packages. November 24th to December 23rd – Santa and his merry band of elves are looking forward to returning to Galway and meeting all the wonderful boy and girls at Elf Town. Elf Town is an interactive Christmas Experience with takes place at Ballybrit Racecourse Galway. December 1st to 23rd -The Christmas Festival takes place at Slieve Aughty in Galway on Saturdays and Sundays from December 1st to 23rd 2018. Santa will be there and is looking forward to seeing all the boys and girls this year. December 2nd to 23rd -Conjure up the real magic and wonder of Christmas with Santa’s Christmas Magic at Brigit’s Garden on various dates from December 2nd to 23rd 2018 Santa and Elfie are back with lots of extra fun activities! December 2nd to January 13th 2019 – The Town Hall Theatre Galway has a full line up of festive family performances including; The Nutcracker Christmas Show on November 2nd, The Nutcracker Ballet on December 15th & 16th, The Children of Lir on December 20th & 21st and the annual Renmore Christmas Panto, Sleeping Beauty from December 29th to January 13th. December 25th – The Annual Galway Cope Christmas Day Swim takes place at Blackrock on Christmas Day from 10am to 1pm. November 17th to January 6th – Galway Skates are open for ice-skating in Salthill from November 17th 2018. November 16th to December 22nd – The Galway Christmas Market is back in Eyre Square from November 16th 2018. November 25th to December 23rd – Enjoy a magical Christmas season in Bunratty Castle & Folk Park Clare where you can go ice skating (until January 2019), enjoy a Christmas banquet, see a panto, find elves and fairies and have breakfast with Santa and enjoy a train ride from November 25th. 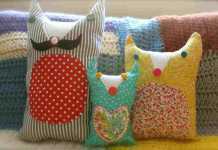 December 2nd – The Hunt Museum Limerick has a Drop in Arts & Crafts Club on December 2nd from 2.30pm to 4pm. December 7th to 9th – Enjoy a Taste of Roscrea, Tipperary in the grounds of Damer Castle which includes a Christmas Food & Craft market. December 2018 – Christmas in Killarney have organised a feast of events for families this December including ice skating from November 29th to January 6th, Killarney sleigh rides from December 1st to 6th & The Magic Parade on December 1st from 6pm. December 2018 – The Source Arts Centre in Thurles has the Nutcracker showing on December 1st and Sleeping Beauty with a touch of panto from December 28th to 31st. December 1st to January 6th – Limerick On Ice is back for its 16th year beside Arthur’s Quay Shopping Centre. 17th December 2018 to 6th January 2019 – The UCH Limerick annual Christmas Panto is back from December 17th. This year you can enjoy Snow White. 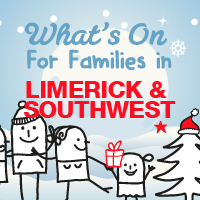 December 2018 – The Lime Three Theatre Limerick has a host of festive family shows this December including; Grease on Dec 11th & 12th, The Nutcracker on Dec 14th & 15th and Alice in Wonderland The Panto from December 28th to January 6th 2019. November 23rd to December 23rd -The award winning Santa Experience is back at Dunnes Stores in the Patrick Street from November 23rd to December 23rd 2018. Children will be transported to the North Pole. 29th November to January 20th 2019 – The Cork Opera House Panto this year is Aladdin, running on dates from November 29th. December 1st – Fota House in Cork host the Cappella Lyrica choir on December 1st for a Christmas Carol Concert. No better way to start off the Christmas season! Door at 17.30. Book your ticket today. 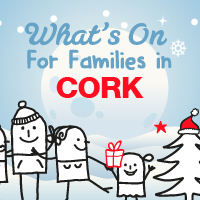 December 1st to 22nd – Enjoy Glow in Cork City on weekends from December 1st. With a festive market, ferris wheel and entertainment for all ages. December 3rd to January 27th 2019 – Cork on Ice will be back at Mahon Point until January 27th, and is open every day except Christmas Day. Penguins available for small kids and special kiddies skating area. December 1st to January 13th 2019 – Enjoy Cinderella the Panto at The Everyman Theatre Cork this Christmas. December 7th to 16th – Santa will be in residence at Fota House on dates from November 7th to 16th where you can enjoy a festive tour of Fota House and help solve a mystery! Follow The Stick Man and Gruffalo Trails at Colin Glen Forest this December. The experience is completely free so bring the family and enjoy one of Belfast’s most beautiful parks. December 1st & 2nd – Come to the Christmas Fair at The Argory, Dungannon on December 1st & 2nd – And Santa’s Magical Kingdom will open on December 6th. November 23rd to December 23rd – Step back in time and experience a Magical Christmas Experience at Titanic Belfast. For a comprehensive list of events at any time, check out our events calendar where events are added daily. 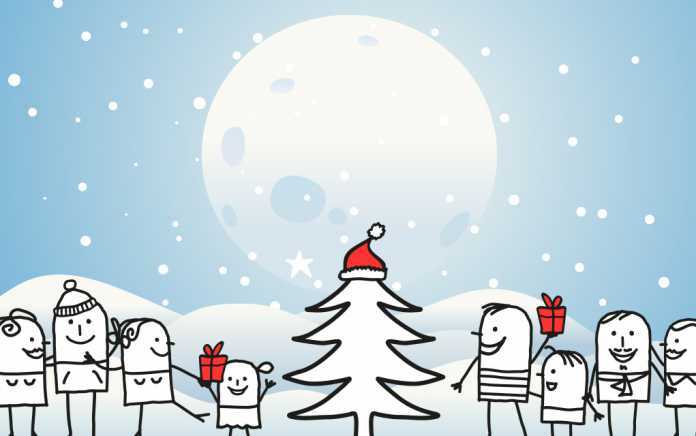 If we have missed any Christmas Events taking place near you, please let us know in the comments box below.